Farmers in the central region have suffered a poor harvest of the winter-spring rice crop and now face a shortage of short-term rice seed for the coming summer-autumn sowing. 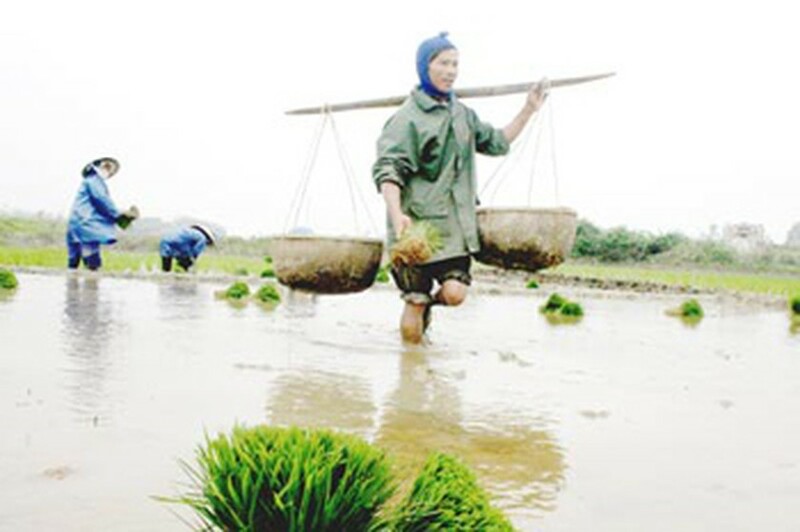 The rice output was very low in Dien Ban, Dai Loc, Duy Xuyen districts and in Quang Nam Province, the un-seasonal rains and cold weather conditions badly damaged the winter-spring crop. Farmer Nguyen Quoc Vu from Dai Loc District said that this year the rice output had dropped by one third compared to the previous years. Ho Ngoc Man, deputy director of the Agriculture and Rural Development Department in the district said that 29 percent of the rice area in the district had seen output plunge by 50-70 percent. This year the winter-spring crop was late by more than one month, delaying the summer-autumn crop too close to the rainy season. As a result, local farmers need to cultivate only short-term rice crops. Nguyen Van Bai, director of the agriculture department in Quang Tri Province says the province needs about 1,000 tons of short-term rice seeds for the summer-autumn crop. However, as this variety is used for an emergency crop season, the quantity of stockpiles of short-term seeds is insufficient. Meanwhile, agriculture authorities in Thua Thien-Hue Province have instructed relevant organizations to supply farmers with 2,000 tons of short-term rice seeds to ensure the planting takes place. They have also proposed to the Government to assist local farmers with 300 tons of short-term rice seeds.